LIFEWTR turns its bottles into a canvas for emerging artists. As we launched our series featuring bold art by women, we uncovered a startling truth: 51% of today’s visual artists are women, but works by women make up less than 5% of permanent collections. 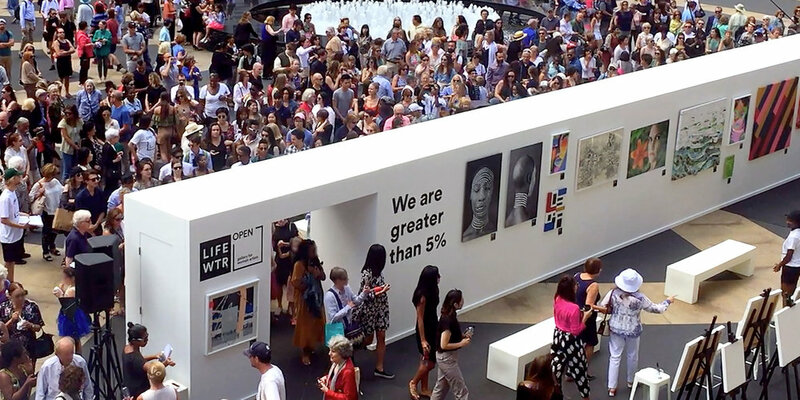 We ignited awareness of the issue by turning our media spaces into an open gallery for women artists through a live event in NYC, OOH and Instagram. To date, we’ve received 18,000 mentions and artworks shared through #ArtByAWoman. And our video has been viewed 4.7 million times, with the campaign generating 251 million total impressions.